Lemon yellow Hawaiian Sunrise Shell necklace! This Sunrise Shell is a very bright and beautiful Sunrise Shell in lemon yellow and white colors, measuring a full, round 1 1/16 inch in size. 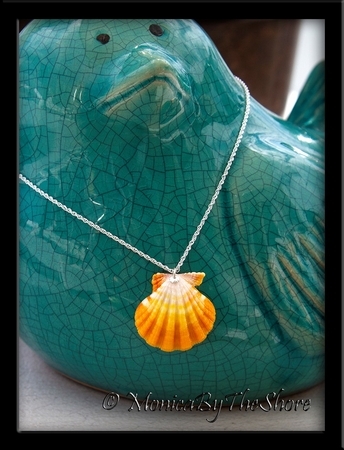 The seashell pendant drapes from a sparkling 18 inch sterling silver rope chain necklace. 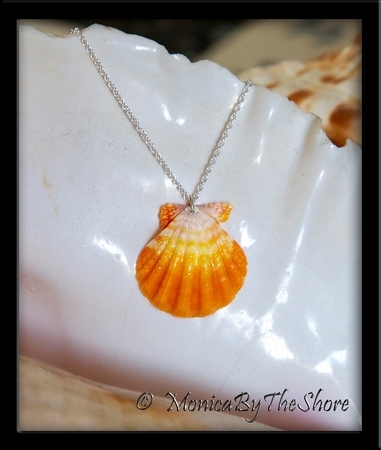 A perfectly beautiful seashell pendant that radiates the warmth of the Hawaiian Sun!